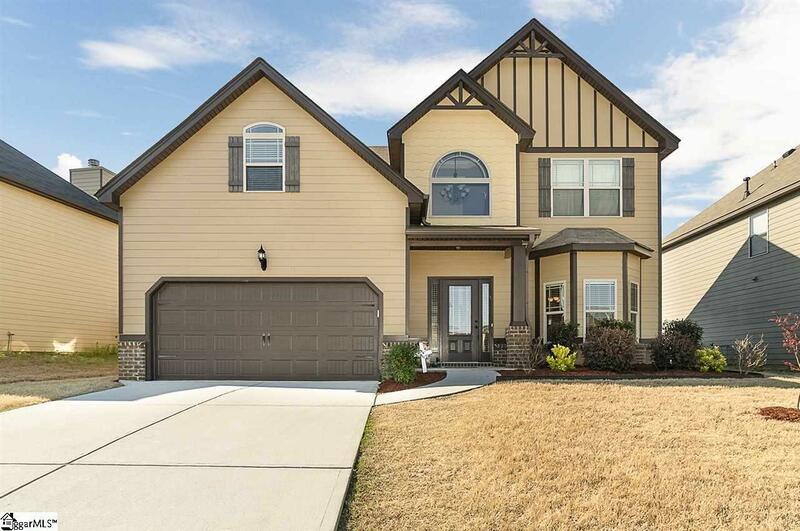 With over 2700 square feet, youll quickly discover this Simpsonville home offers a ton of space for the value. 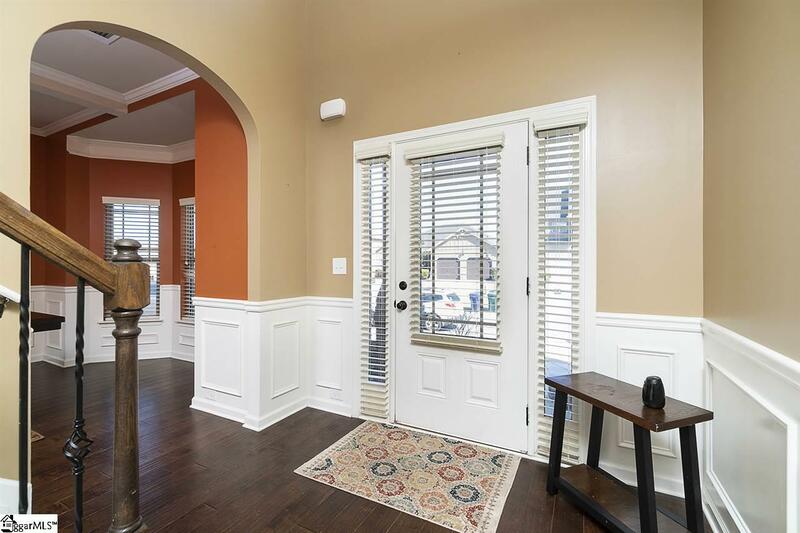 If you need a little elbow room for the family look no further! The interior architecture will impress you immediately with archways and charm everywhere. The sizeable family room is located off the kitchen which makes entertaining or cooking with young children around, a breeze. For the chef of the family youll absolutely fall in love with this kitchen. It offers expansive granite countertop food prep space, TWO pantries, GAS STOVE for cooking perfection, tile backsplash and upgraded cabinets. 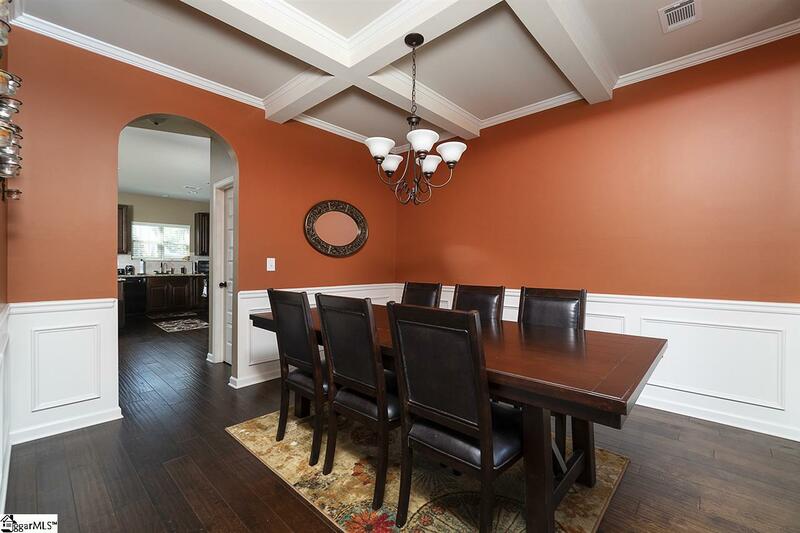 The elegant dining room boasts coffered ceilings, bay window, chair rail and is the perfect size for family holiday gatherings. 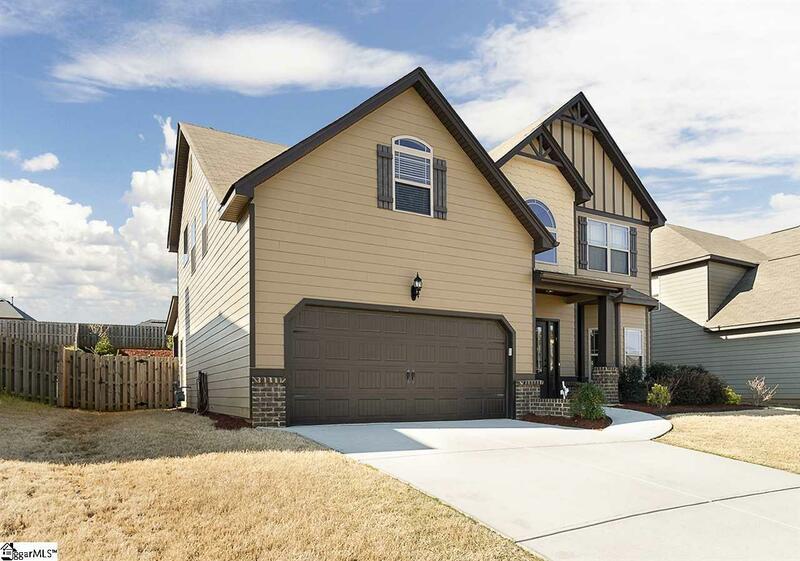 Upstairs will not disappoint either with 4 bedrooms (all have vaulted ceilings) and a spacious walk-in laundry room. The master bedroom has a sitting room suitable for a home office, nursery or work-out space along with a walk-in closet to die for. The master bath is equipped with a garden tub, separate shower, dual sink vanity and private water closet. Other features youll appreciate are the rubbed bronze fixtures, recessed and pendant lighting, gas heat, rock fireplace and pull-down attic access. Whether youre relaxing on your covered back porch or at the community pool, dont let this equitable opportunity pass you by. Welcome home!